All posts tagged "Adam Thielen"
Is Adam Thielen overlooked and undervalued? We take a closer look at Minnesota's star wideout. We examine the dynasty ramifications of Kirk Cousins signing with the Vikings. Denver signed former Vikings signal caller to lead the offense. Should the Minnesota Vikings receiver be held in a higher regard? We cover some wideouts who have been affected by off-season movement. The Vikings went all in for 2017 success. How will they recover and what will come of their dynasty assets? 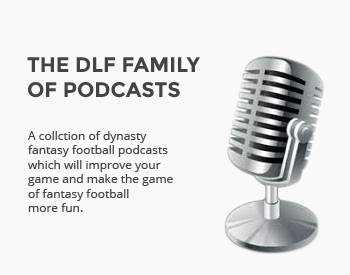 We prepare you for this weekend's set of games, focusing on some players with dynasty value in the balance. We look at the latest injury updates on a few big names. We look at Teddy Bridgewater and the Minnesota Vikings.